A huge amount of investment has gone in to build wireless network infrastructures to serve the ever-growing demand for network coverage. These networks are the backbone in transforming business operations to realise opportunities for growth and innovation and to serve the constant requirement of end customers to be always connected. Unfortunately, these same wireless network owners and operators would need to know where and what the issues are and put in place appropriate strategic actions to maintain and even improve the quality of service it delivers to its customers. 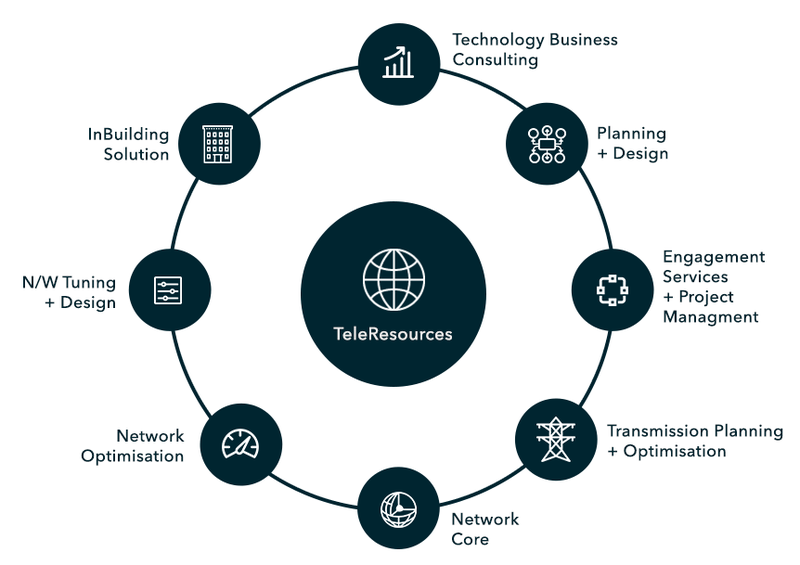 TeleResources knows full well the intricacies and complexity in managing wireless network performance and it has the expertise and leading-edge tools to address the needs of wireless network managers and operators to deliver a quality and highly efficient network. TeleResources can provide load, functional, regression and user acceptance testing for VoLTE, VoWifi and RCS services in the core network, both manual and for 24×7 monitoring, with cloud-based central management. Services are accessed and used by active testing as they are by subscribers, enabling complete testing of interoperability during pre-launch, post-launch and regression. TeleResources operates a fleet of vehicle fitted with the latest test equipment for multi-technology, multi-band testing of the radio access network. We run a national testing team that undertakes benchmark testing as well as site specific tests. Our software solutions can be deployed rapidly and integrated with LTE small cells and macro cells to create dedicated “islands” of coverage in areas of interest, while interoperating with national mobile operator networks to allow users to maintain connectivity both inside and outside the dedicated coverage areas. Our solution enables real-time (control, sensor) or data-intensive applications (e.g. video) to run independently at the edge of the network where they are most needed using standard mobile terminals. Mobile Operators have invested billions in spectrum but current network architectures produce sub-optimal yields by only allowing a one-size-fits-all level of service, security and control. As mobile operators strive to find new sources of revenues and growth, we can help mobile operators to significantly increase their yield by slicing, sharing and pricing network capacity between “best effort” non-guaranteed Internet access (e.g. plain consumer) and private mission-critical traffic (smart city, transport, public safety, airport/port, hospital, government, defence, utilities, oil & gas, mining etc.). Our solution can be deployed cost-effectively to manage traffic related to specific vertical segments (e.g. M2M). It comprises a light touch “Over-the-top” deployment allowing rapid innovations and service trials without disruption to the existing network. TeleResources has access to the state-of-the-art active and passive NetProbe monitoring solutions which is underpinned by over 10 years’ expertise and experience in railways, signalling, telecoms and IT. At TeleResources, we can provide testing and measurement solutions for GSM-R telecommunications networks and ERTMS signalling systems, including GSM-R interference testing solutions. Both ‘attended’ and ‘unattended’ GSM-R and ETCS testing solutions can be supplied. The quality of a wireless network is critically dependent on the planning process and in particular the system and site parameters used in the planning tool, minimising differences between predictions and drive test results, using up to date and accurate clutter information and site information. TeleResources is able to perform a full physical audit, gathering full site information and also perform software audit and inconsistency check. TeleResources also has the team and latest network benchmarking tool to provide an independent assessment of various operators network performance on coverage and quality of service.